Designed for Kyrie Irving's unpredictable playing style, the Kyrie 4 delivers responsiveness and traction for the craziest directional changes. Supercharged with Zoom Air cushioning in the heel, its outsole curves up the sides for smooth transitions, while zigzag-shaped articulation enhances flexibility and court feel. Designed for Kyrie Irving&apos;s unpredictable playing style, the Kyrie 4 delivers responsiveness and traction for the craziest directional changes. Supercharged with Zoom Air cushioning in the heel, its outsole curves up the sides for smooth transitions, while zigzag-shaped articulation enhances flexibility and court feel. Lightweight mesh with Flywire cables for a secure and supportive fit. Zoom Air unit in the heel provides quick, responsive cushioning. Decoupled rubber outsole with micro tread for multidirectional traction. They look awesome and feel great. Needed a shoe that was wider than normal and came in size 13. They didn’t have my size in store so I purchased online and they fit. Great option for girls b-ball shoes!!! We bought these for our basketball playing daughter and they are perfect!! It is hard to buy b-ball shoes for girls because the stores usually only stock men’s basketball shoes and they are way too wide normally....but these are perfect!!! 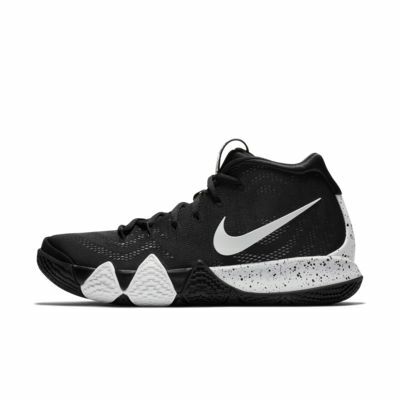 My son just started playing basketball again and absolutely loves these sneakers. 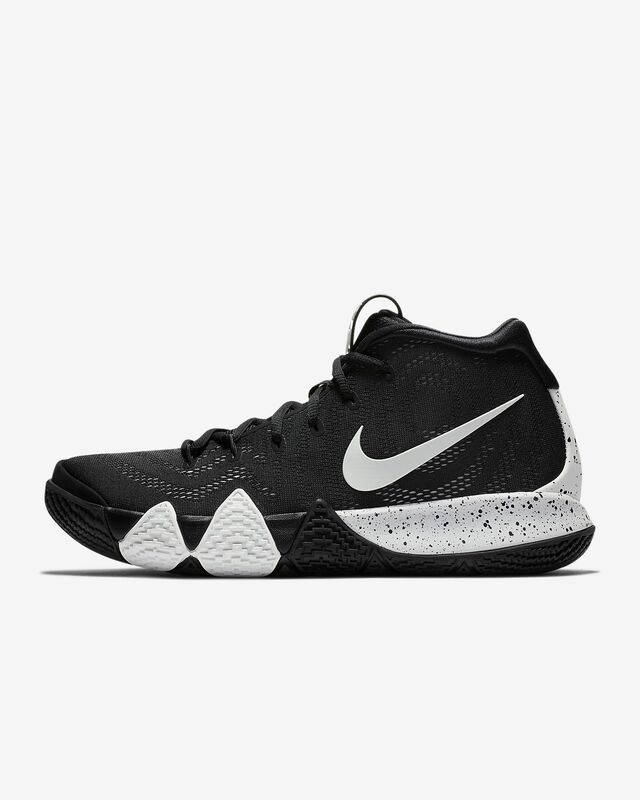 They are true to size and comfortable to wear to school and play hoops in.